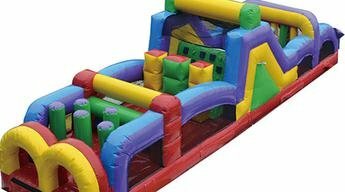 Obstacle Courses are by far the most loved rentals we have, and this one is no exception. There are columns to dodge, inflated rails to hop, tunnels to crawl through, and the big climb! Fun for all ages! !